Caring for an older person who is sick or frail is usually done out of love and compassion. Caring for an elderly person can be rewarding, but it also can be overwhelming. Caregiving can sometimes be a stressful and costly experience. Families need to know where to turn to find help and cope with their stressful situation. A caregiver may be a spouse, child, grandchild, friend or other family member who provides routine and regular hands on care to an adult age 60 and older. The State Family Caregiver Support Program (state funded) requires that the caregiver share the residence with the older person. The State Family Caregiver Program (federal funded) does not require the caregiver to reside with the older person. How can the State Family Caregiver Support Program Help? A care manager visits the home to assess the needs of the family providing care to the elderly person. The caregiver is provided with information on benefits available to them through state and federal programs if the consumer meets the required deficits. Family Caregivers may receive reimbursement from $200.00 to $300.00 per month, depending on annual household income. Caregivers must provide proof of purchases for services such as respite care, Adult daily living centers, home support, in home personal care, respite, caregiving supplies such as incontinence supplies, over the counter medications, wound care supplies or other medical equipment and supplies not covered by other insurances. In addition, eligible families may receive a one-time grant of up to $2000.00 to help pay for home adaptations and devices to ease caregiving tasks and increase the functional independence of the older person. Examples include but are not limited to wheel chair ramps, bathroom modifications, stair glides and other such aides. **Providing the availability of funding. The Care Receiver must be 60 years of age, a functionally dependent older adult or an older adult suffering from chronic dementia. 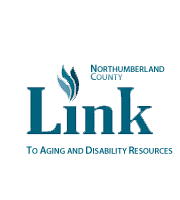 The care receiver must reside in Northumberland County. Verification of Household income must be provided to the Area Agency on Aging upon enrollment and annually thereafter. Reimbursement rates are based on a sliding scale from 200% to 380% of the Federal Poverty Level. A family can be eligible for 100% to 10% reimbursement depending on annual income. *** Funding available for the reimbursement of care giving expenses may not be used to cover caregiver payment for the service of relatives. The Grandparent program is an intergenerational program providing monthly reimbursement to grandparents that are providing daily care to their grandchildren. A Care Manager will visit the home and complete a comprehensive needs assessment to determine the needs of the grandparent as well as the child. Full financial disclosure of annual household income must be provided to the Care Manager at the time of the initial assessment and yearly thereafter. Reimbursement rates are based on a sliding scale from 200% to 380% of the Federal Poverty Level. A family can be eligible for 100% to 10% reimbursement depending on annual income. Monthly reimbursement rate cannot exceed $300.00 per month and will be determined based on the caregivers needs. What can the Grandparent program provide? Due to the developmental needs of children and adolescents, reimbursement benefits needed in the Grandparent program will vary. Some care plans may provide the grandparent with respite and accommodations to meet the physical needs of the carereceiver. Other care plans may focus on services, equipment and supplies to address the developmental needs of child. Services and supplies may include but are not limited to: tutoring, counseling, transportation, school supplies, diapers/pull-ups, shoes, diabetic supplies, over the counter medications, vitamins and nutritional supplements. In Addition, eligible families may receive a one-time grant of up to $2000.00 to help pay for home adaptations and devices to ease caregiving tasks and increase functional development of the child. Examples include but are not limited to glasses, braces, hearing aids, bed rails, safety gates and baby monitors. **Providing the availability of funding.